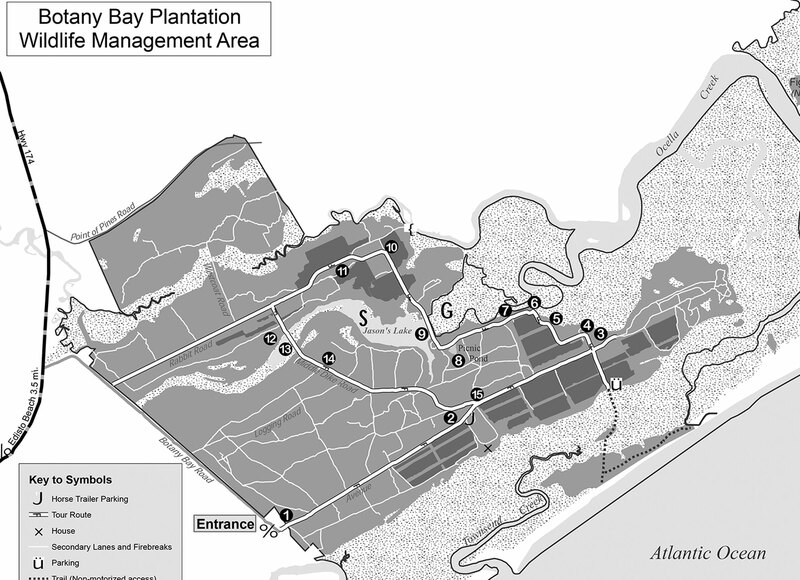 Driving into Botany Bay Plantation Wildlife Management Area (WMA) on Edisto Island, it’s easy to feel like you’re entering the private estate of a blue-blooded, multi-generation Charlestonian. That’s because you are—it’s only been publicly accessible since 2008, when the Meyer family left the 4,630-acre property (including 2,500 acres of wildlife-rich marsh) to the state. 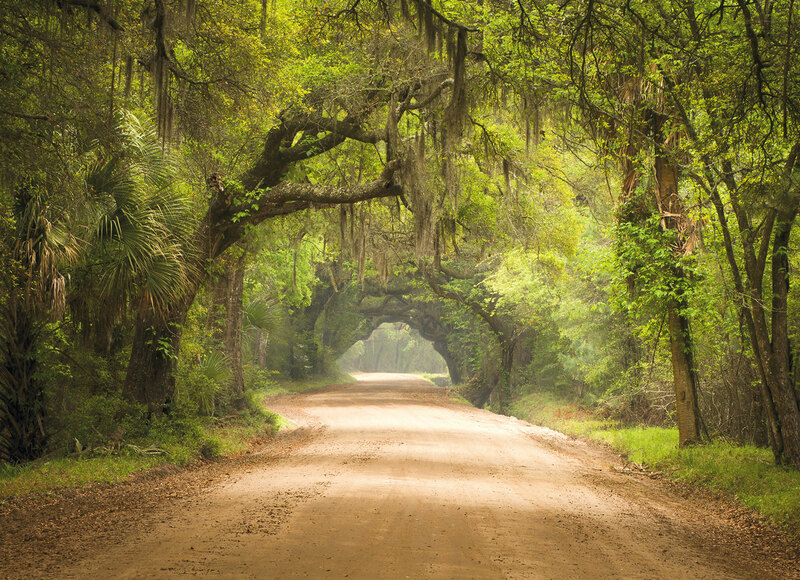 It’s a magical place, where the work of humans—like a canopy tunnel of live oaks—intermingles with the wildness of nature. 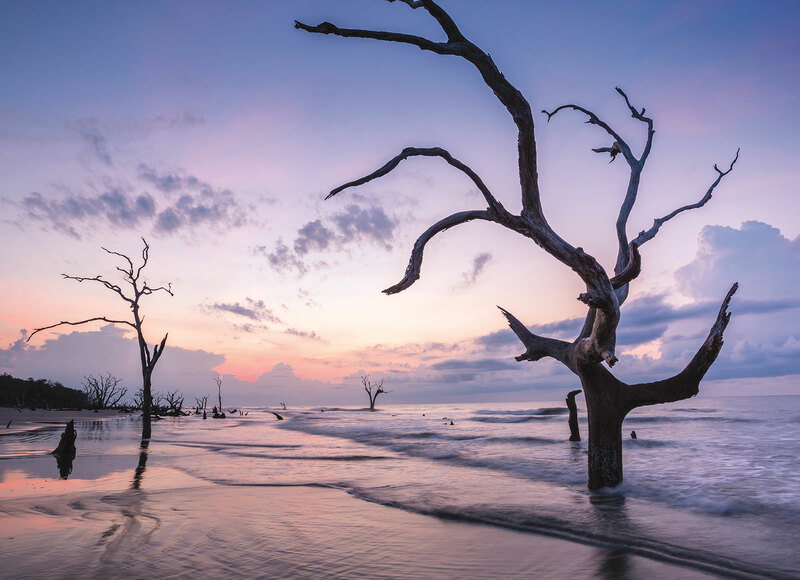 Most visitors drive the 6.5-mile scenic loop, parking only to walk out to the boneyard beach, where the ocean has created an eerie spectacle of preserved trees emerging from the sand. 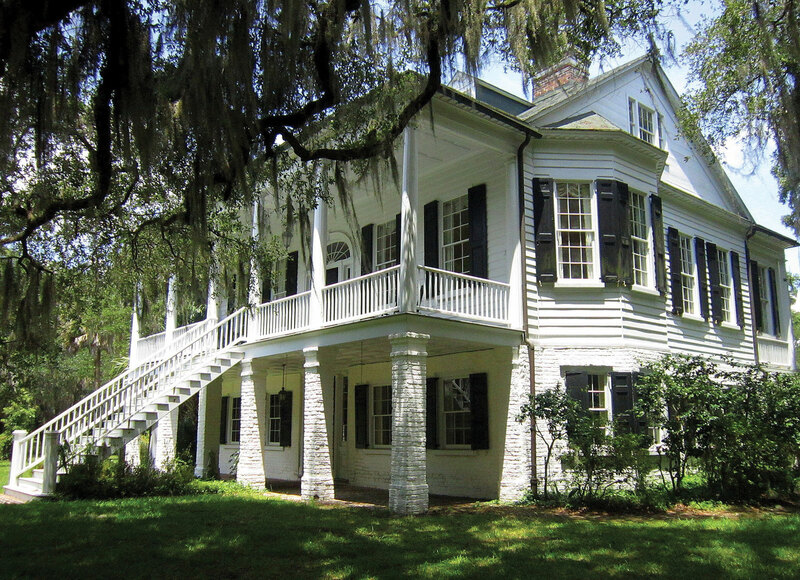 But to best experience the heritage preserve, leave your car at the entrance sign and pedal the dirt road, stopping to take in the 4,000-year-old Fig Island shell rings and the Gothic Revival and oyster tabby buildings that remain of the 19th-century Bleak Hall Plantation. 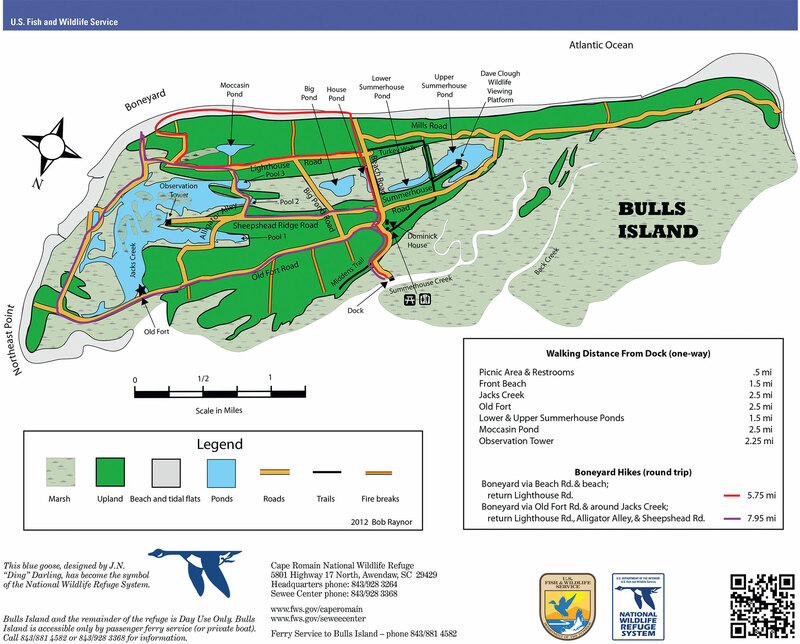 Picnic on the beach and take advantage of your bicycles to explore the WMA’s entire 2.8-mile stretch of sand. 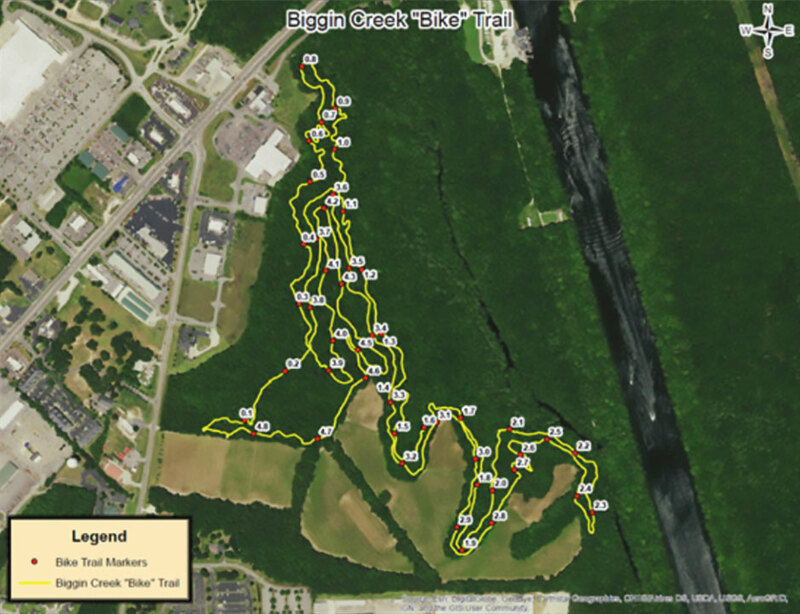 Mountain bikes, which have fatter tires, are a requirement for Biggin Creek, Marrington Plantation, and the Palmetto Trail. While all other locations mentioned on these pages may be manageable on a hybrid-tire bike with semi-stubby wheels, you’ll work hard to keep up with any friends on a mountain bike. When you’re heading into the wilderness on two wheels (or two feet), treat your adventure like you would a boat trip. “You’re away from support, so let somebody know where you are, what your route is, and to worry if they haven’t heard from you by an appointed time,” says Chris Crolley, founder of Coastal Expeditions. 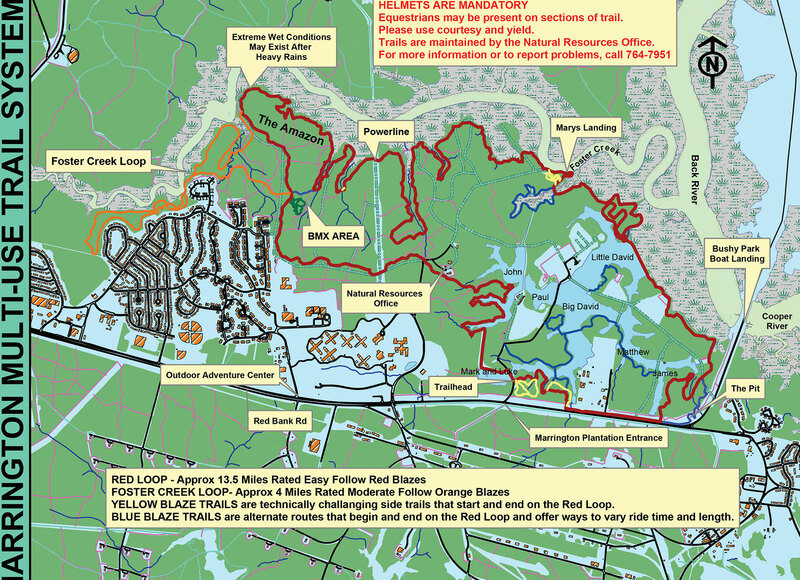 Lowcountry mountain biking skeptics become believers within the first mile on this winding 13.5-mile single-track loop at the Naval Weapons Station in Goose Creek. 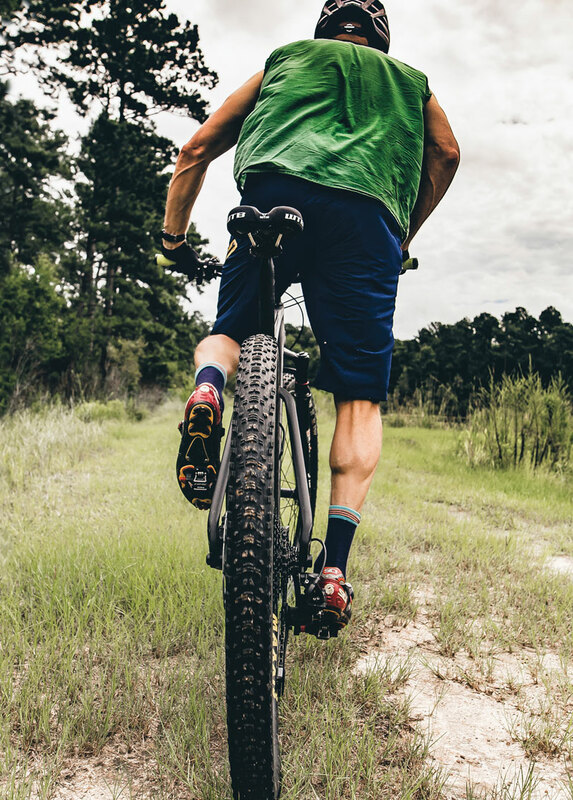 It’s the home trail of the Low Country Fat Tire Freaks—a Facebook group for Charleston’s mountain bike community—and features sharp turns and plenty of bumps and jumps along the ancient inland sandhills of this coastal forest. 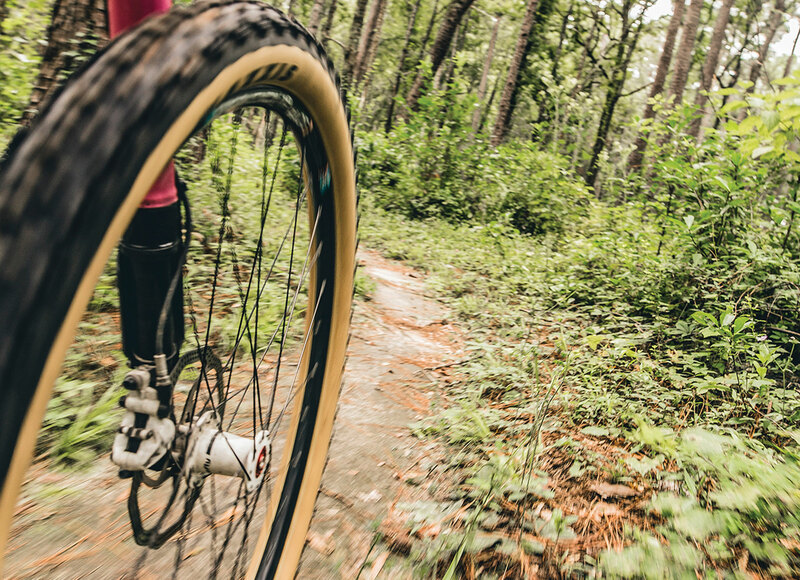 It’s the best place for beginners to get their feet wet, but it’s also fun for seasoned riders,” says Greg Jones, founder of Ride Bikes in West Ashley. 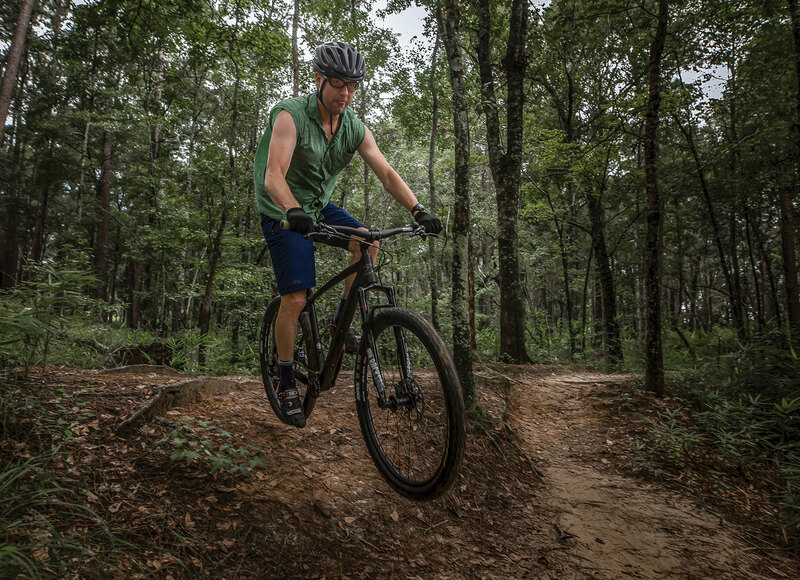 Hunter Ducworth, store manager at downtown’s Affordabike, loves that Marrington lets advanced riders hit high speeds and swooping turns and recommends the more challenging 6.5-mile orange loop that features rocky and root-filled terrain and quick, punchy climbs. 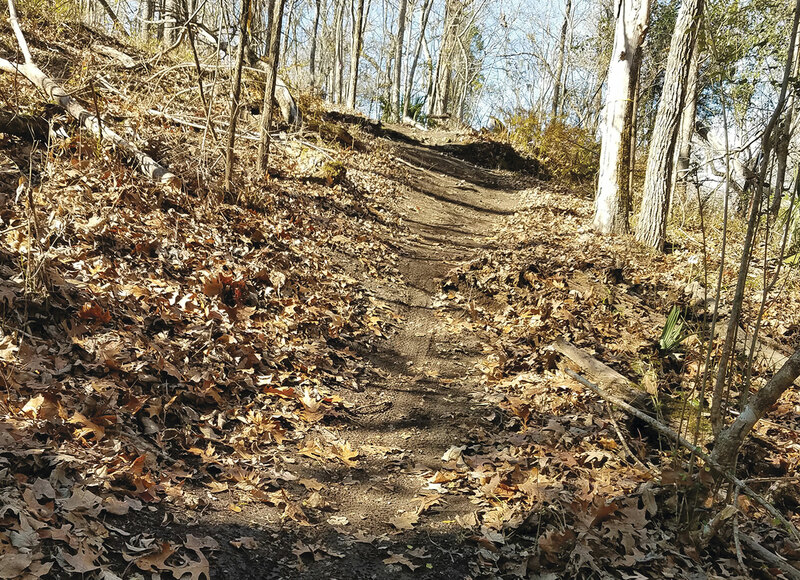 Trail offshoots can extend the ride to 17 miles. Be sure to bring a helmet—they’re required—as is a Marrington Patron Pass for civilians, available at the base’s Outdoor Adventure Center. (The pass involves a background check that takes a month to acquire, so plan ahead). One section of the trail is aptly dubbed “The Amazon.” Avoid it for several days after heavy rain. 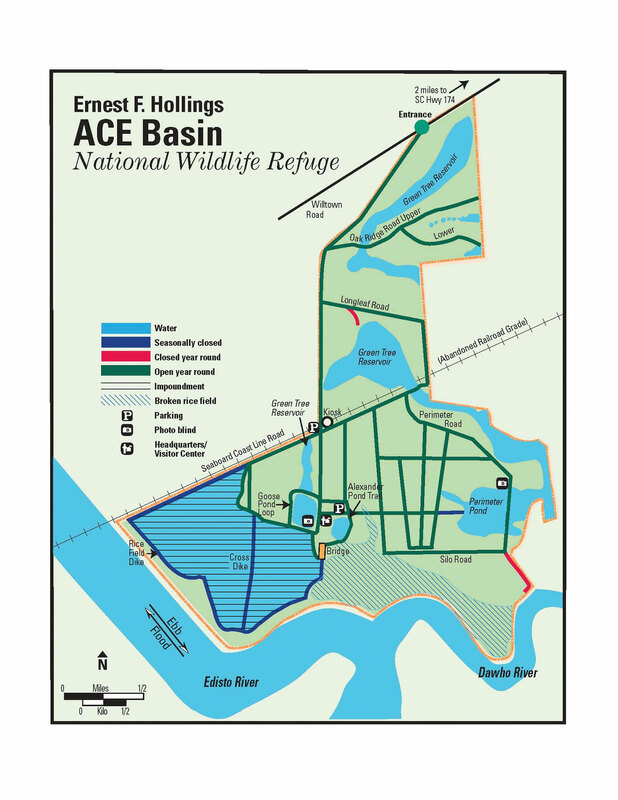 Although most of the 350,000-acre ACE Basin (ACE stands for the Ashepoo, Combahee, and Edisto rivers) is water—it’s one of the largest surviving wetlands on the East Coast—there’s a surprising amount you can check out by land from the Refuge’s headquarters on Edisto Island, centered around the 1828 Grove Plantation home. 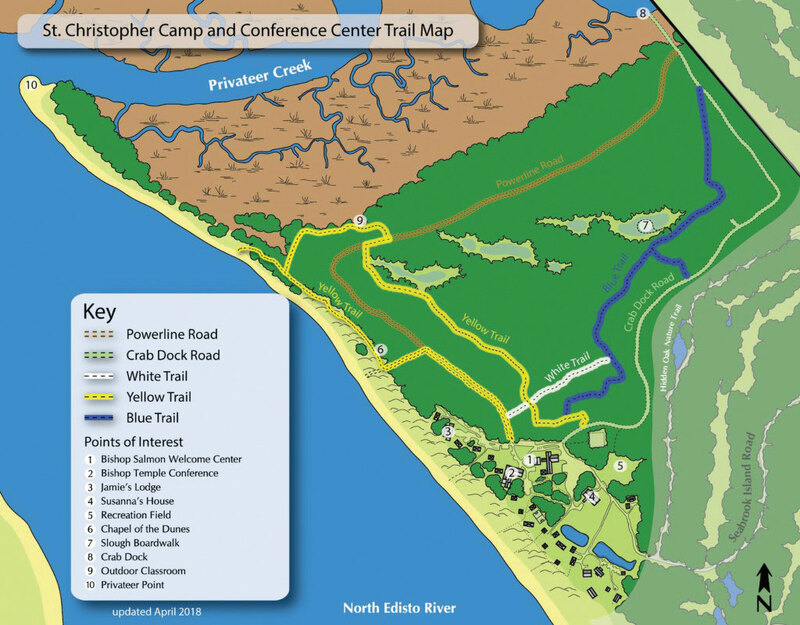 It’s a good place for a walk, and an even better place for a bike ride—long straightaways across grassy service roads and rice field dikes that reach to the Edisto River invite the extended exploration that wheels provide. 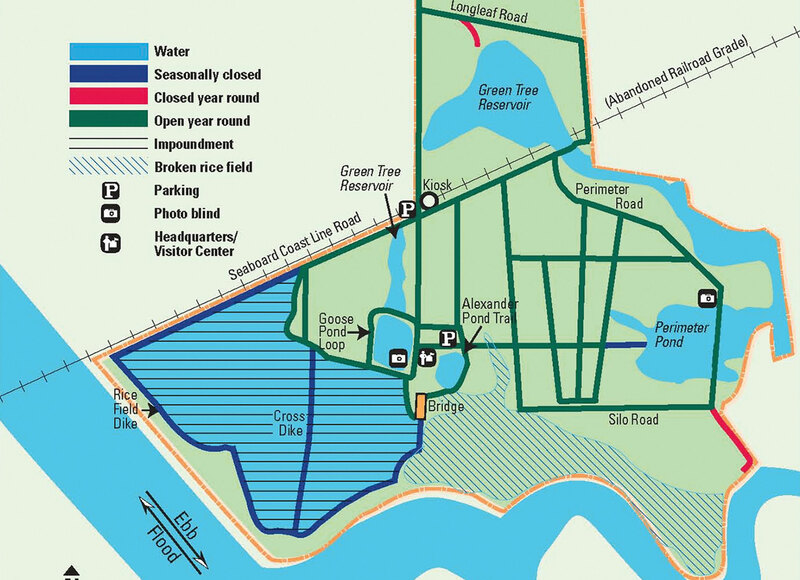 A bike gives easy access to the Green Tree Reservoir and Perimeter Pond, where blinds allow nature lovers to hide from sight and witness the spectacle of migrating and wading birds that depend on this critical habitat. 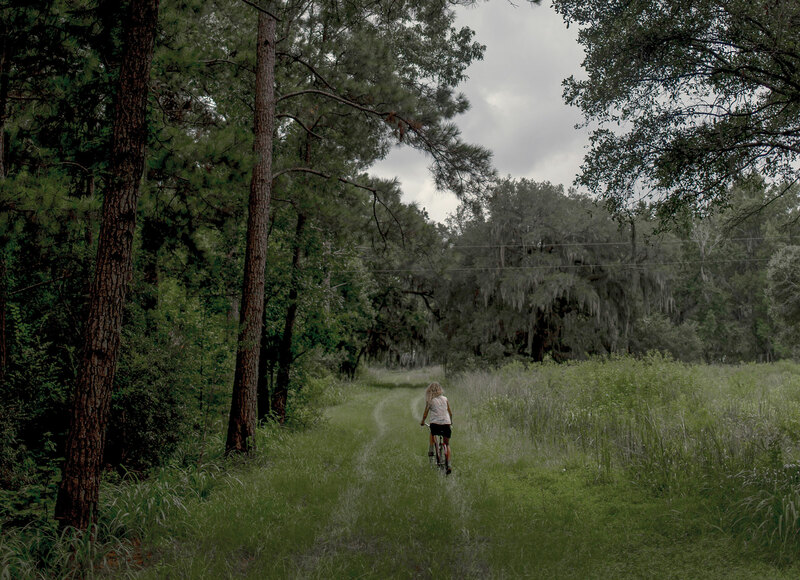 Even the entrance road is better seen by bike than car: the swampy bottomland that surrounds it is alive with wildlife, as is the Oak Ridge Road offshoot a mile into the park. Just offshore but worlds away from Mount Pleasant, 5,000-acre Bulls Island is a wilderness gem that’s left largely untouched, apart from the day trippers who travel over on Coastal Expeditions’ Bulls Island Ferry. 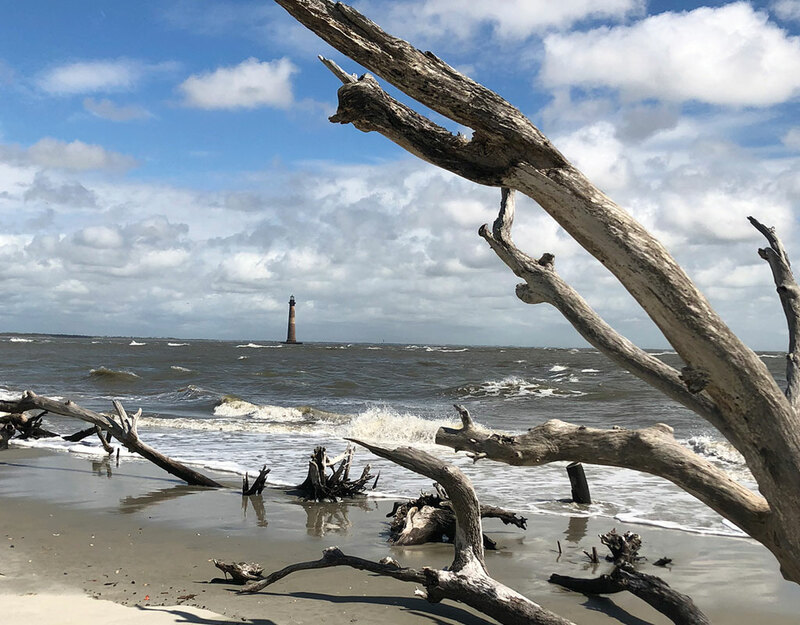 Part of the Cape Romain National Wildlife Refuge, the island is the permanent home or stopping ground for 239 bird species, and each summer, it’s the largest nesting ground north of Florida for loggerhead sea turtles. 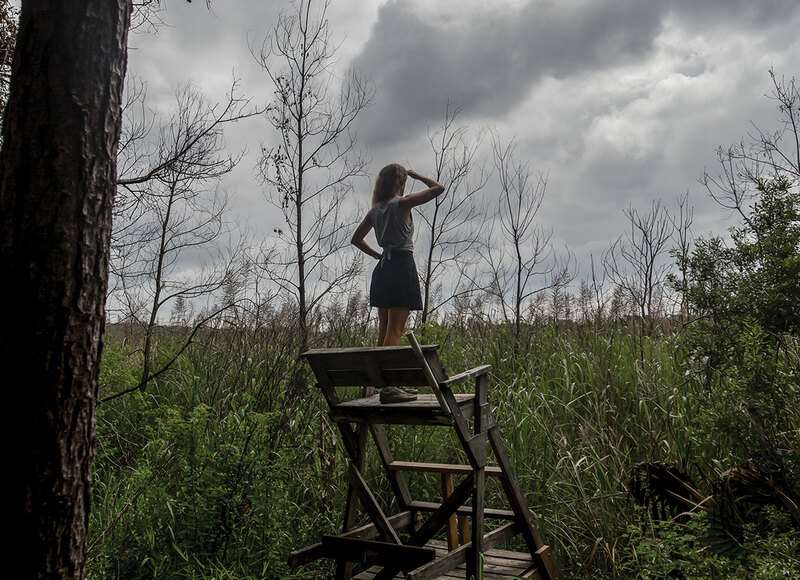 Bulls’ boneyard beach is the longest in the state, and its freshwater impoundments and causeways are a guaranteed place to spot 10-foot-plus alligators. Most visitors arrive on the ferry and explore by foot, which largely limits them to one central road across the island and the beach. To maximize your day, make a reservation to bring a bike on the ferry, allowing for a nearly five-mile loop around the island to see the interior and the stunning, untouched beach. 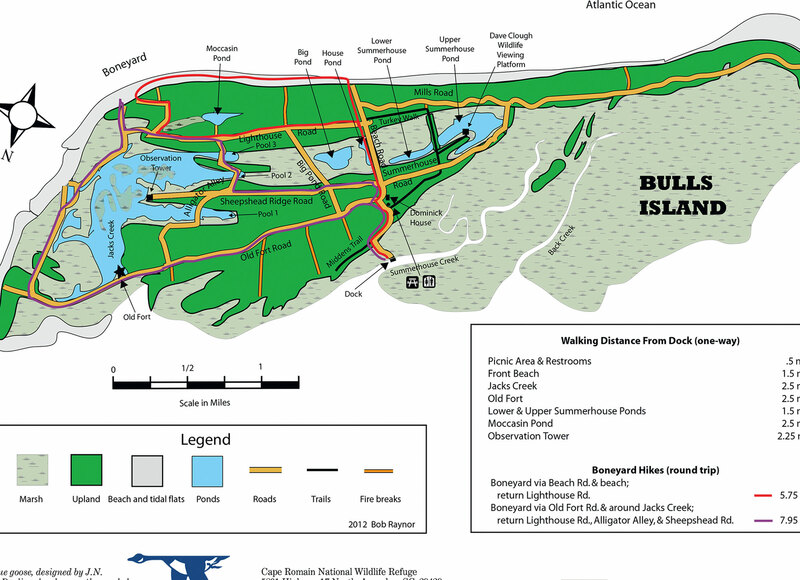 Note: as Bulls Island is managed for the protection of native fauna and their habitats, bikes are allowed on roads only; not on trails. 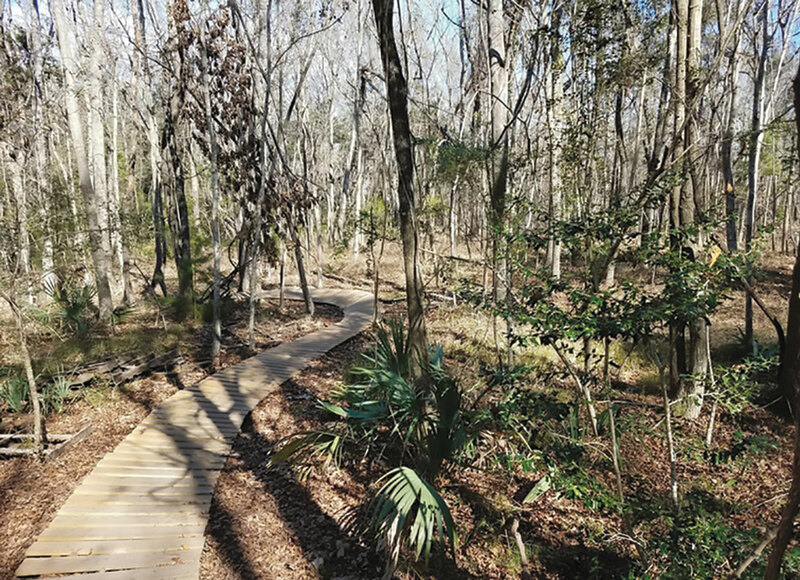 Still relatively new and unknown, this 4.6-mile, town-owned trail in Moncks Corner was spearheaded by a volunteer, mountain biker Rusty Smith, through a partnership with Santee Cooper. 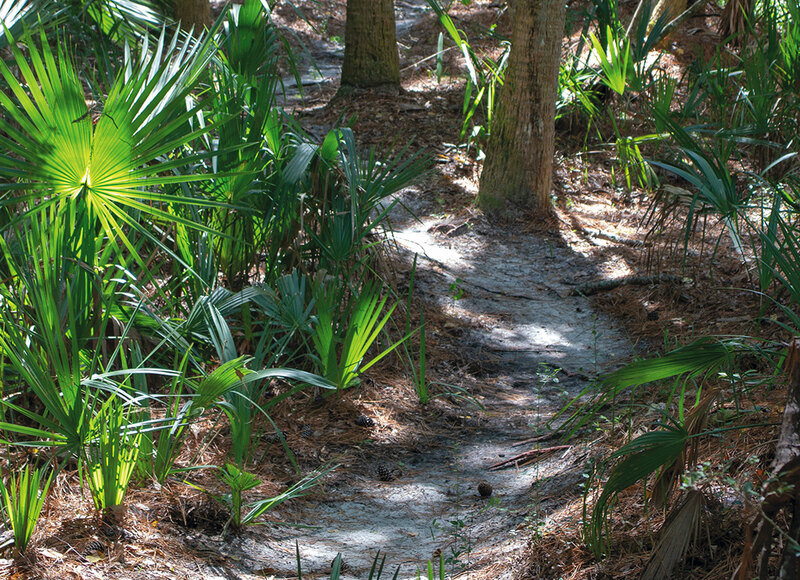 Topping out at 92 feet above sea level, it’s the one place in the Lowcountry with challenging climbs—beginners may even need to hop off and walk uphill in spots. “What it lacks in distance is made up for by the fun factor,” says Jones of Ride Bikes. 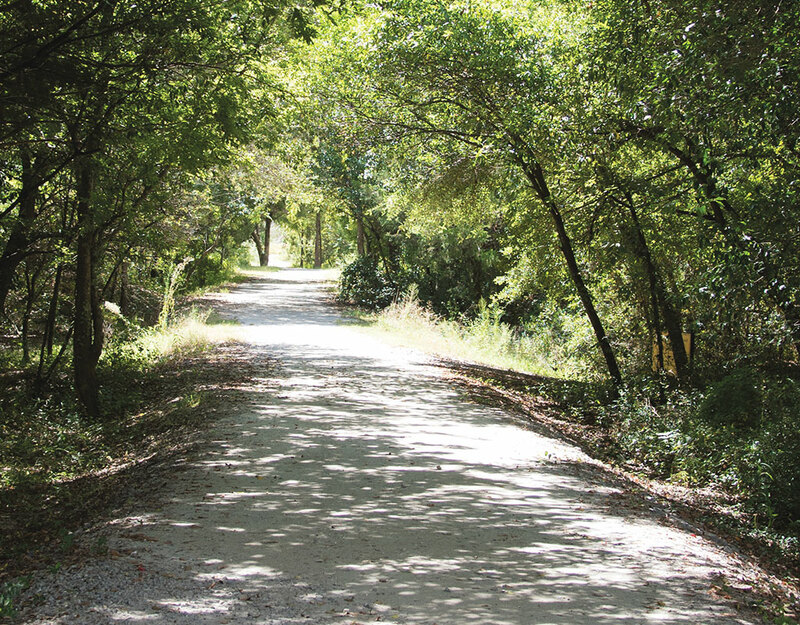 “This is the trail to go to if you want some elevation—you’re going to want to ride more than a lap.” Old Santee Canal Park director Brad Sale concurs: “It’s a beautiful and surprisingly technical trail,” he says, adding that the hiking trails at the adjacent park can offer a two-activity incentive to make the drive up Highway 52. 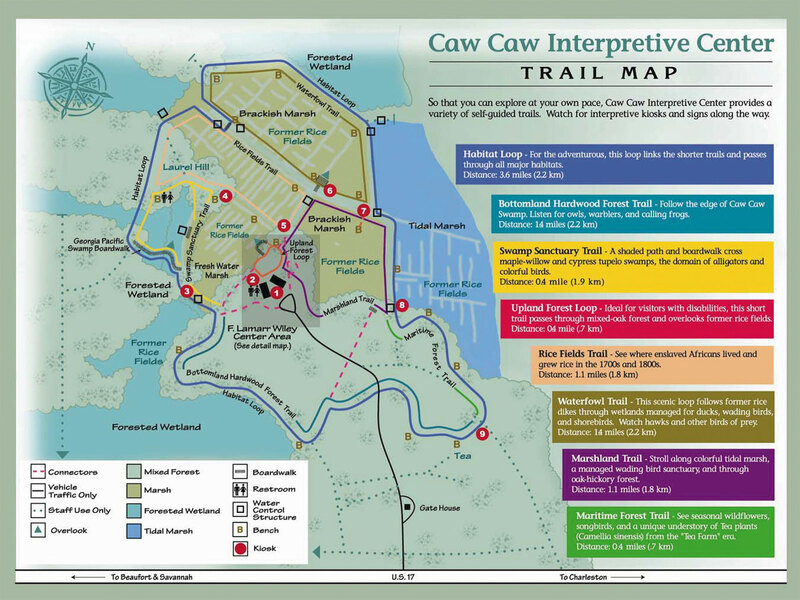 Just off Savannah Highway headed south from town, Caw Caw beckons passersby with its 5,500 acres of wetlands. 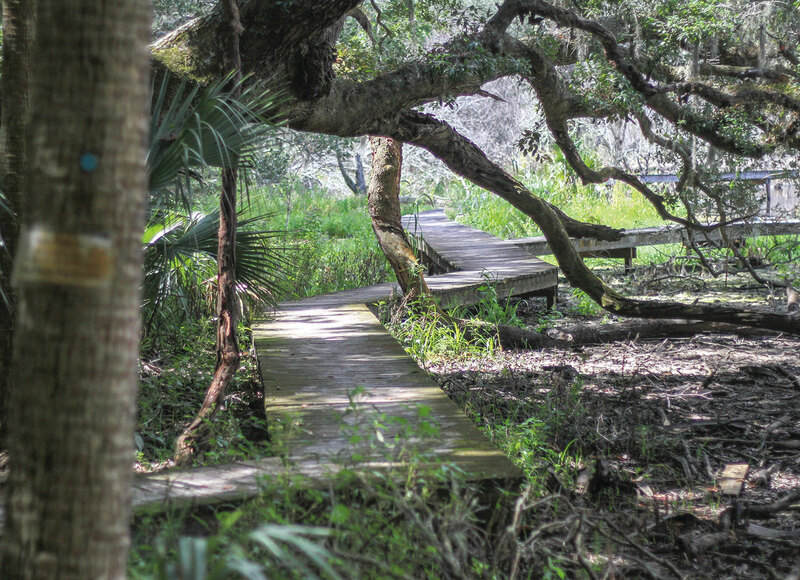 Walk the six miles of trails, boardwalks, and causeways around the former rice plantation in search of alligators, otters, bald eagles, and wading birds (consider starting a Wednesday or Saturday with a guided bird walk at 8:30 a.m.). 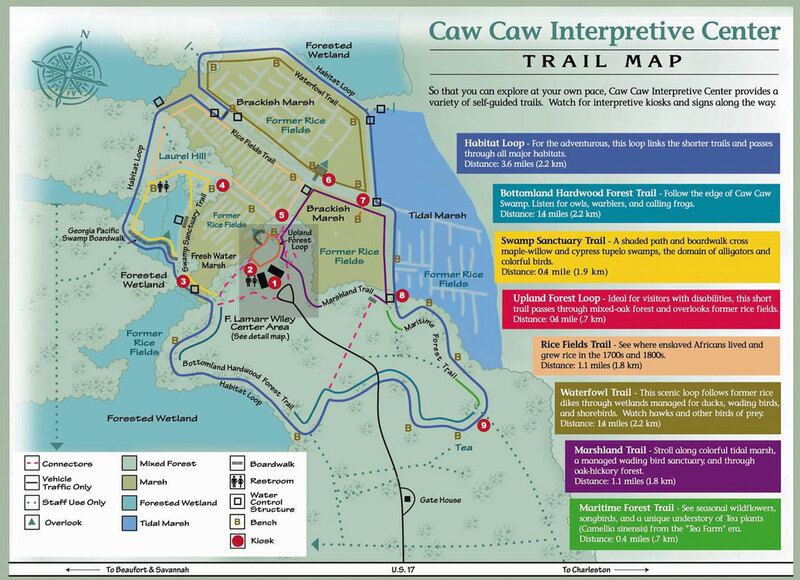 Caw Caw is a favorite destination for local Sierra Club outings. “You can enjoy a quiet walk in the woods and then take in the expansive view across the rice fields,” says Laura Moses, a member of the local chapter, the Robert Lunz Group. 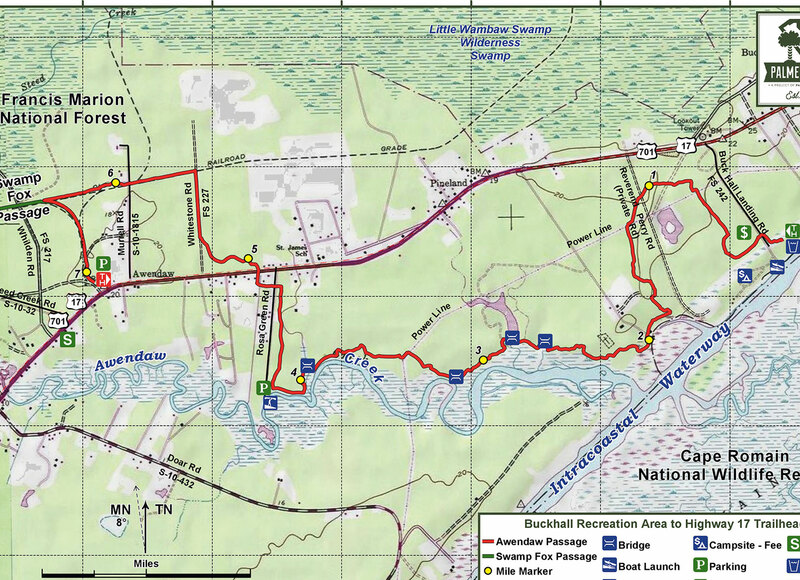 Routes include the Bottomland Hardwood Forest Trail, a Maritime Forest Trail, and a Marshland Trail. In one hike, you’ll pass through diverse ecosystems, each with their own flora and fauna. 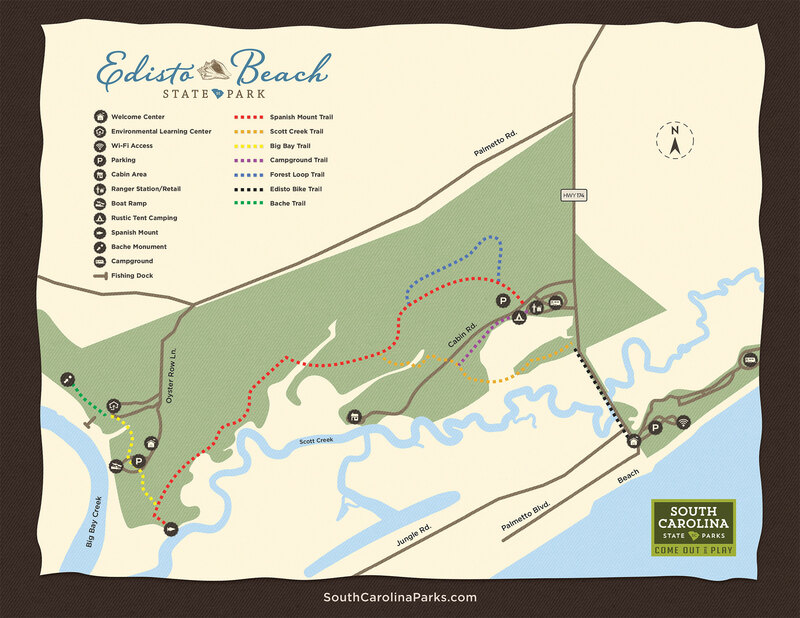 This perennial favorite state park contributes mightily to the timeless charm of Edisto Beach, thanks to ocean- and marsh-front camping, rustic family cabins, and four miles of trails that wind through the maritime forest. It’s the perfect place to introduce children to the wonders of a walk in the woods: the hard-packed trails are even suitable for thin-wheeled bicycles and strollers. 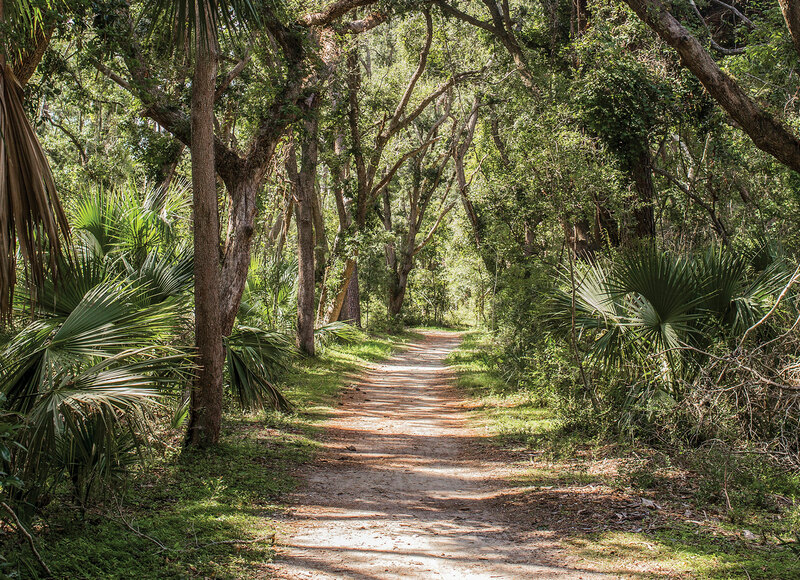 The 1,255-acre park’s central thoroughfare is the 1.7-mile Spanish Mount Trail, which traverses from the campground to the nature center, a fitting destination that features a touch tank and hands-on wildlife exhibits. 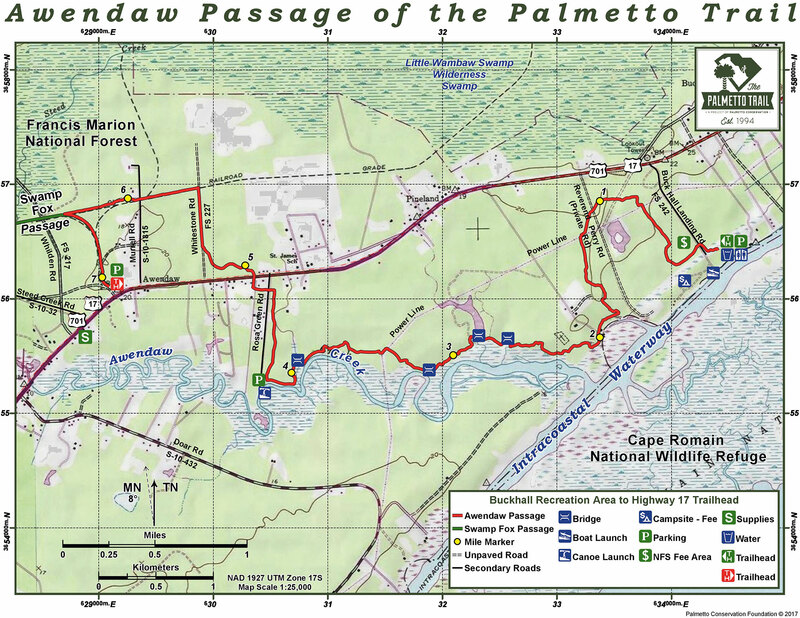 Two sections of the Palmetto Trail cross the Lowcountry: the 47-mile Swamp Fox and the seven-mile Awendaw passages. 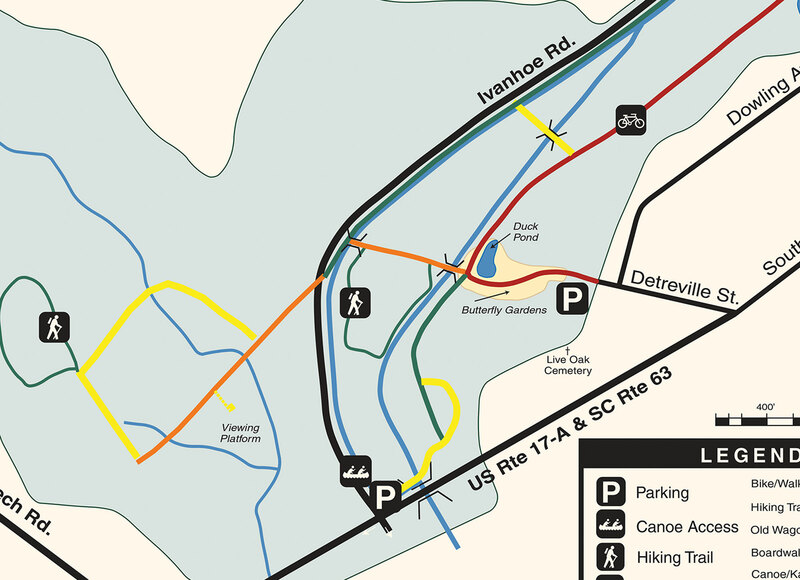 It’s flat, but this is the spot for serious hiking (or long-distance biking) in Charleston. 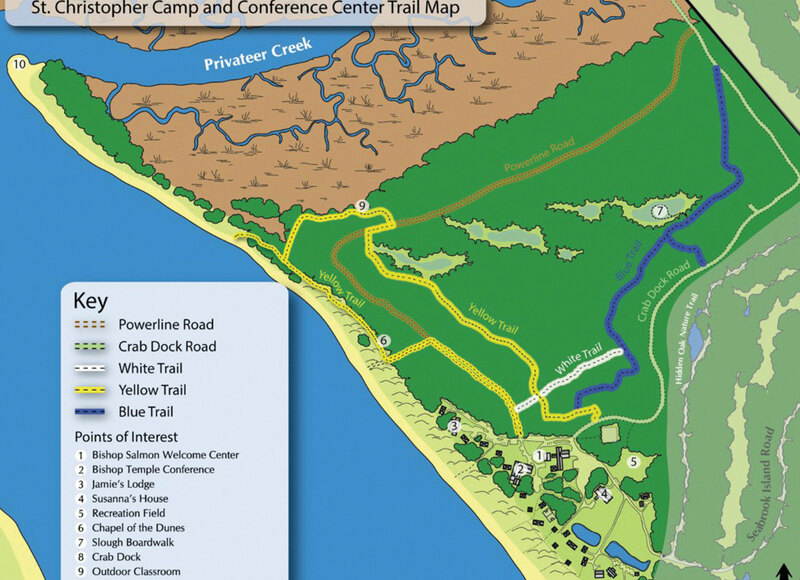 Sewee Outpost co-owner Brooks Geer says it’s “one of the best natural landscapes along the South Carolina coast.” The out-and-back trail is suitable for mountain bikes or walking on foot, but be wary of mosquitos and no-see-ums until the weather significantly cools. 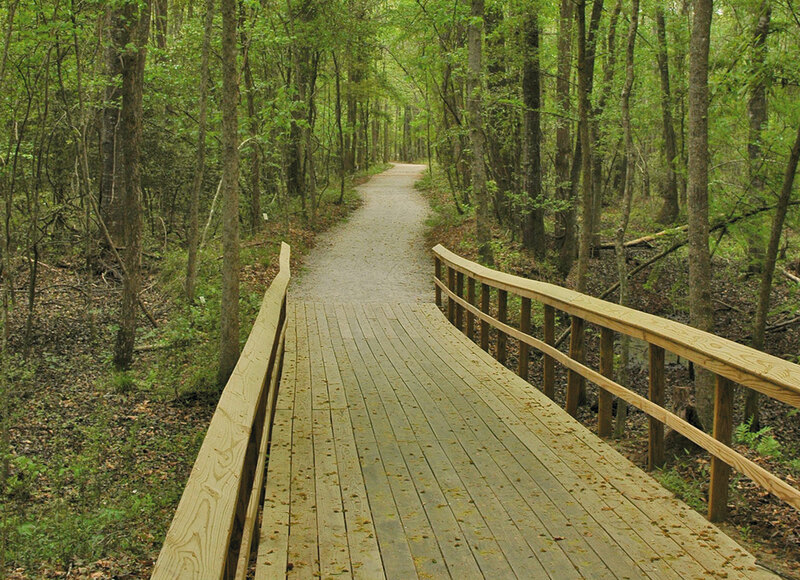 Those seeking a forest experience—or an extended hike—can continue on to the Swamp Fox Passage. “It’s a great beginner hike and can be lengthened as desired. 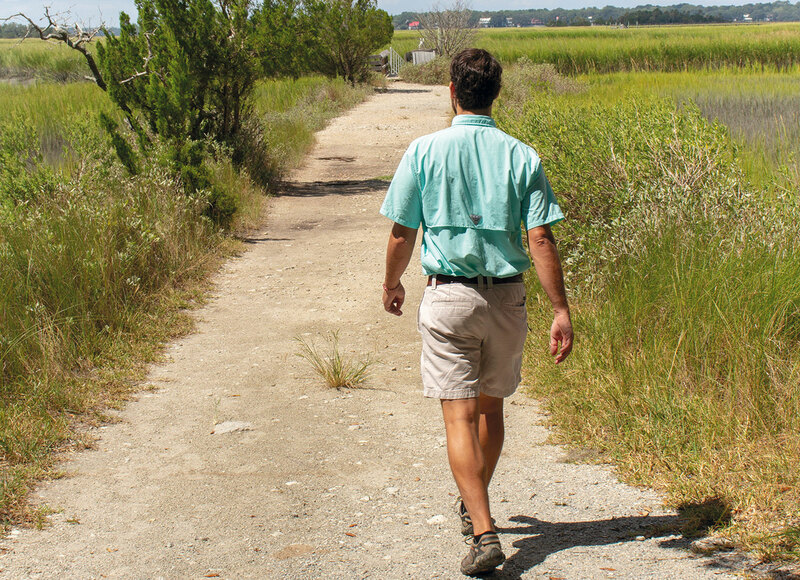 Turn it into a backpacking excursion all the way to Lake Moultrie,” suggests Beezer Molten, founder of Half Moon Outfitters. 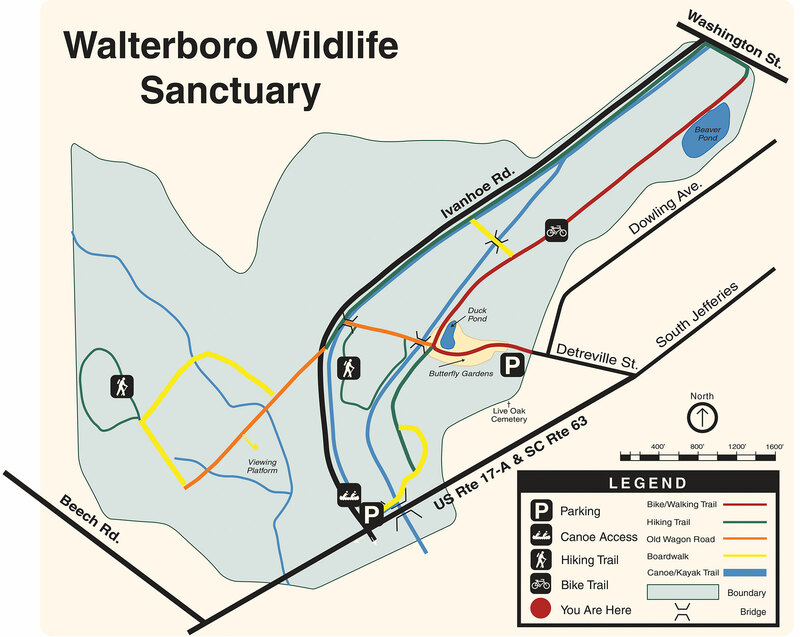 Last year, the city of Walterboro opted to rename the city’s marquee park, once known as the “Great Swamp Sanctuary,” just steps away from historic downtown. 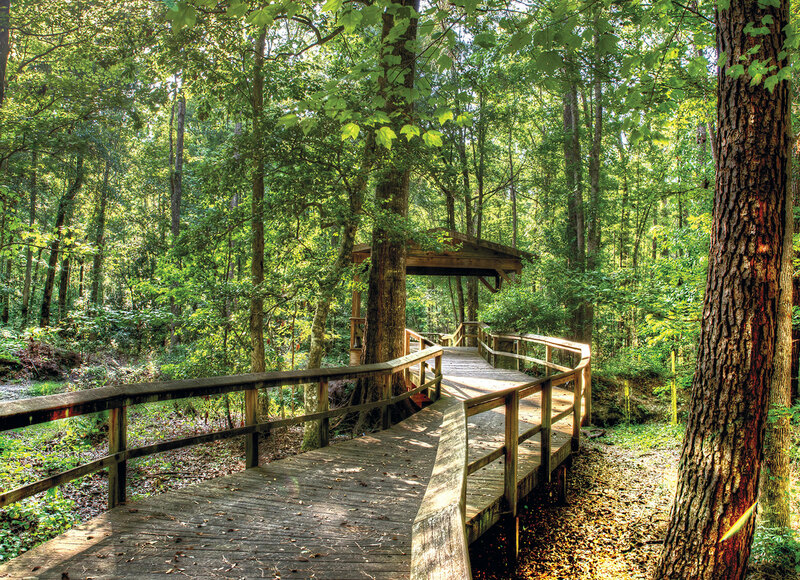 The 800-acre preserve lives up to its moniker—within moments on the elevated boardwalk trail, visitors enter a primordial bottomland forest, with towering cypress and tupelo trees that cast gorgeous shadows on the watery floor. 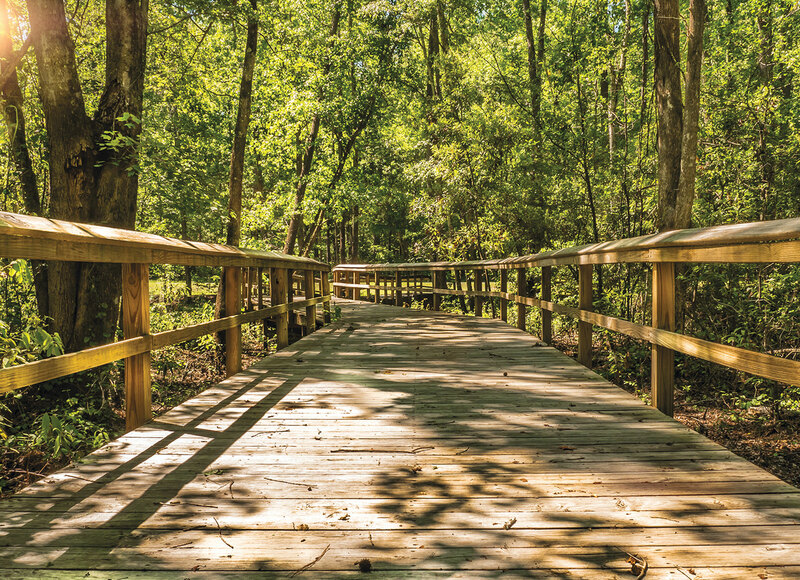 Known as a “braided creek” swamp, the forest includes 3.5 miles of both dirt trails and elevated wooden boardwalks over the wettest parts, making for an excellent family-friendly walk or the perfect Lowcountry trail run. 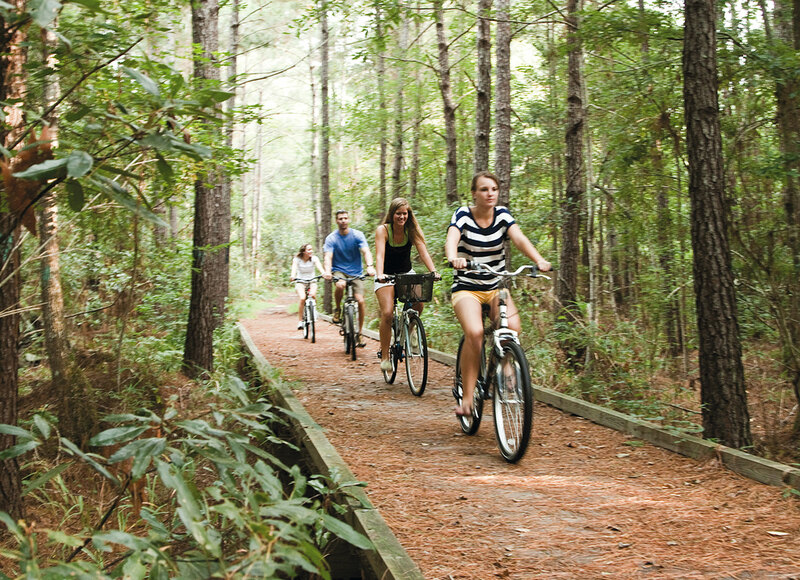 To get to this 314-acre conference center and preserve, you first drive past the stately homes of Seabrook Island, making the arrival in this pristine maritime forest all the more striking. 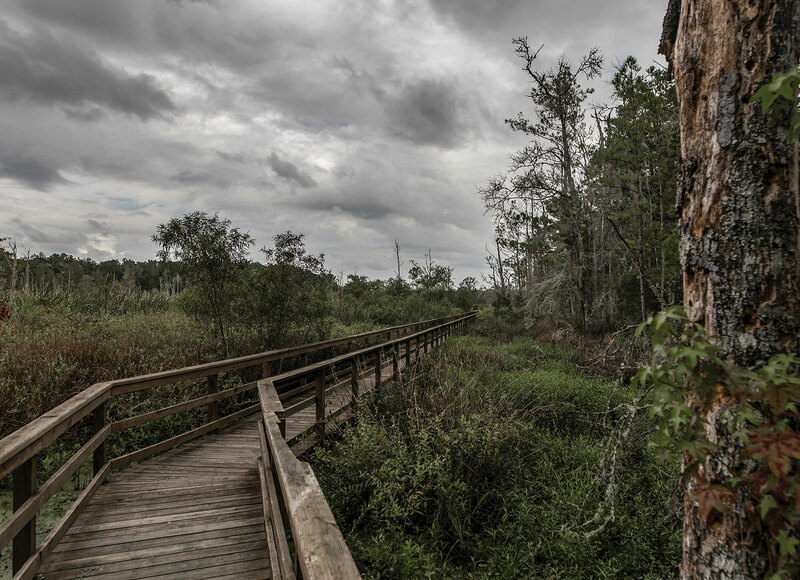 The well-maintained trail system includes a boardwalk over a seasonal slough and a rope bridge over an often-flooded section of the “Water Moccasin Trail.” The topography throughout much of the forest is surprisingly varied. 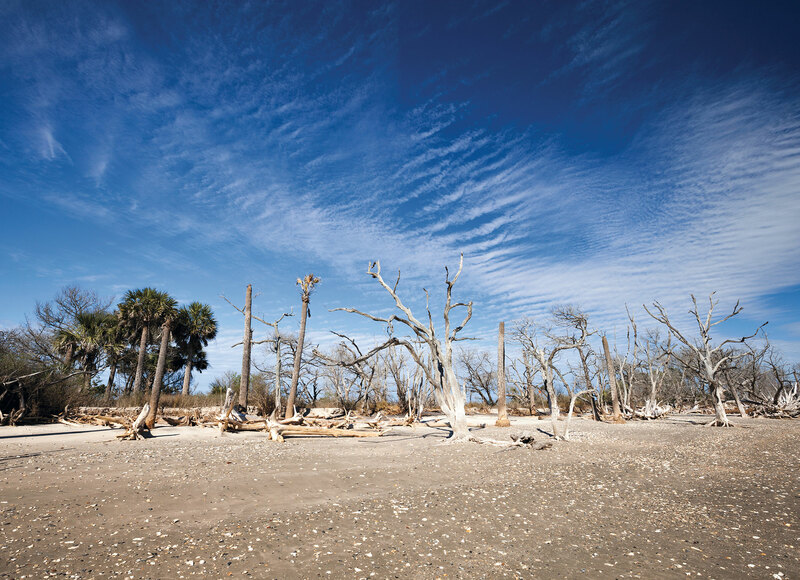 Whereas most barrier islands in South Carolina have erosion problems, Sullivan’s enjoys vast accretion on its southern end. 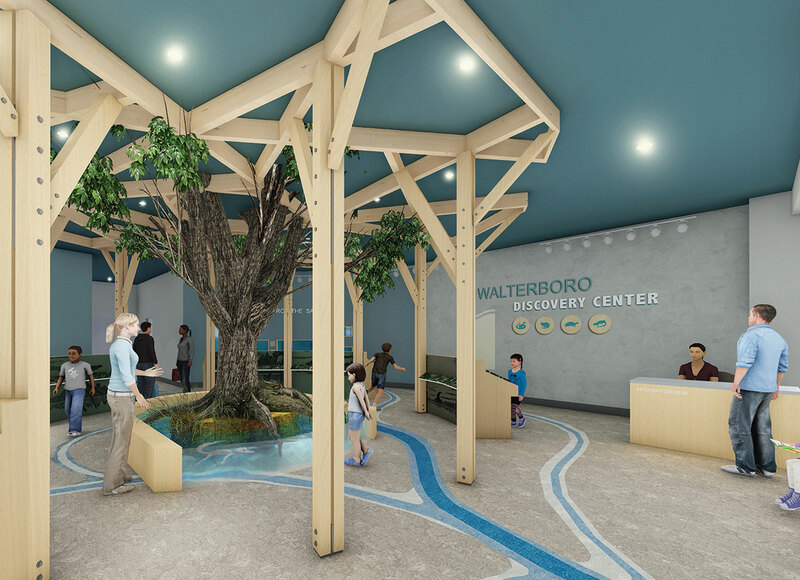 Over the decades, that’s resulted in a 90-acre maritime forest that’s open to public exploration from Station 16. 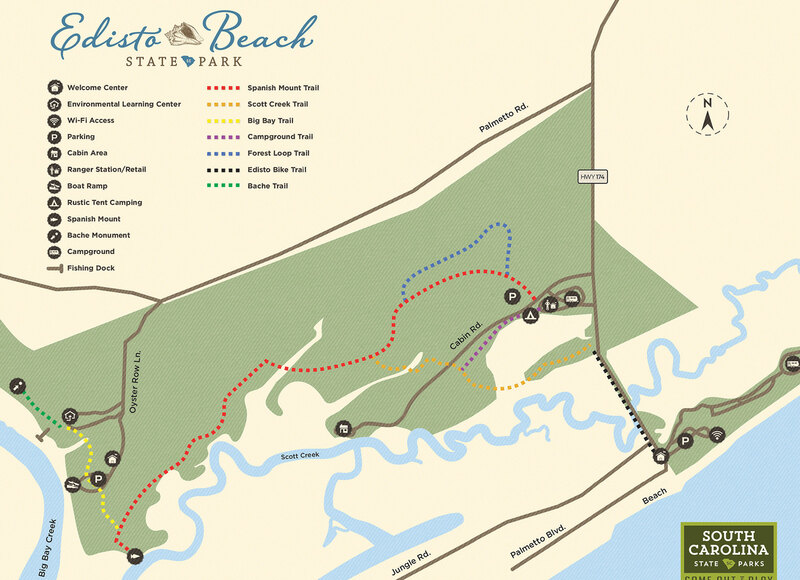 Take the approximately half-mile walk through the woods, then emerge onto the beach just as early settlers did. “It’s short and sweet, but it always fills me with gratitude that this accreted land is protected,” says Carlin Simmons, an island resident and former National Park Service ranger.